HomeAll Posts...Is My Battery Dead? It’s important to test your battery and electrical system regularly, not just when it’s starting to show signs of weakness. Proactively testing it (or making sure your mechanic does) twice a year will help reduce your chances of failure. Most retailers offer a simple free five minute battery test. Use our Find a Retailer for a location near you to get a free battery test. When Fully Charged, How Many Volts Should A Car Battery Have? Fully charged automotive batteries should measure at 12.6 volts or above. When the engine is running, this measurement should be 13.7 to 14.7 volts. If you don’t have a multimeter to tell you the voltage of your battery, you can do a test of your electrical system by starting the car and turning on the headlights. If they are dim, that indicates the lights are running off the battery and that little or no charge is being produced by the alternator. 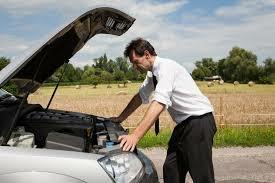 If the lights get brighter as you rev the engine, it means the alternator is producing some current, but may not be producing enough at idle to keep the battery properly charged. If the lights have normal brightness and don’t change intensity as the engine is revved, your charging system is probably functioning normally. If you’ve been experiencing problems with your battery system and the headlight test checks out okay, you should check whether or not the battery is holding a charge, or if something on the vehicle is discharging it.